Are You Committing Any of These Mistakes? 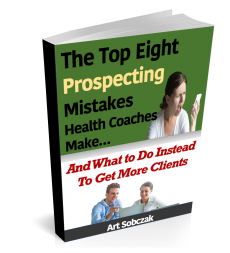 Most sales are lost as a result of what the coach either said, or did not say when speaking with a prospective client. You can have the greatest marketing on the planet, but ultimately your business relies on speaking with people. You'll see exactly what to avoid, and what to say to close more business, and get more referrals.